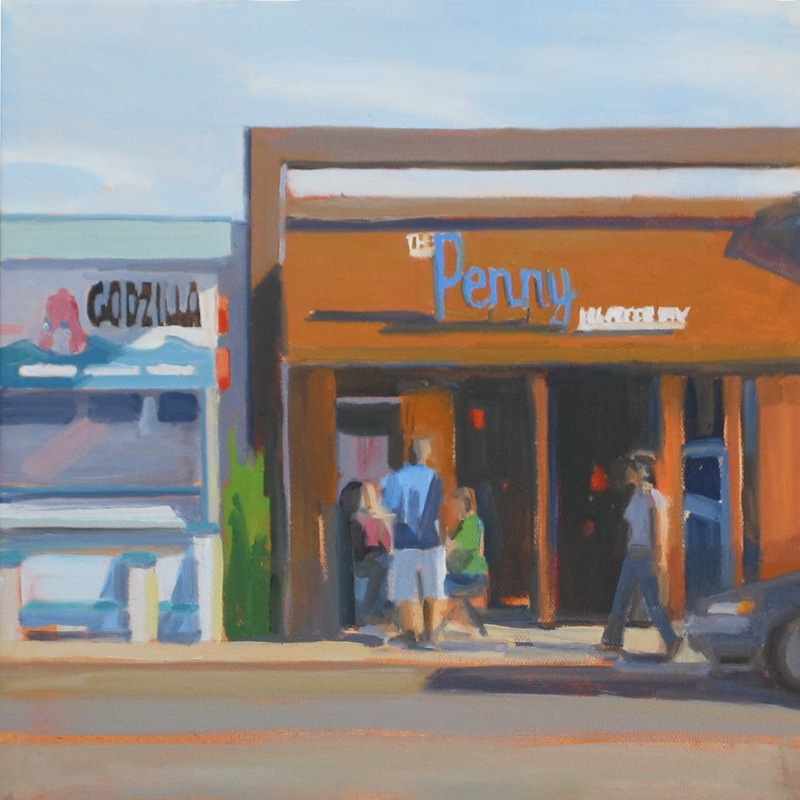 Another painting in "Tiny" at Studio Gallery in San Francisco through December 24th. 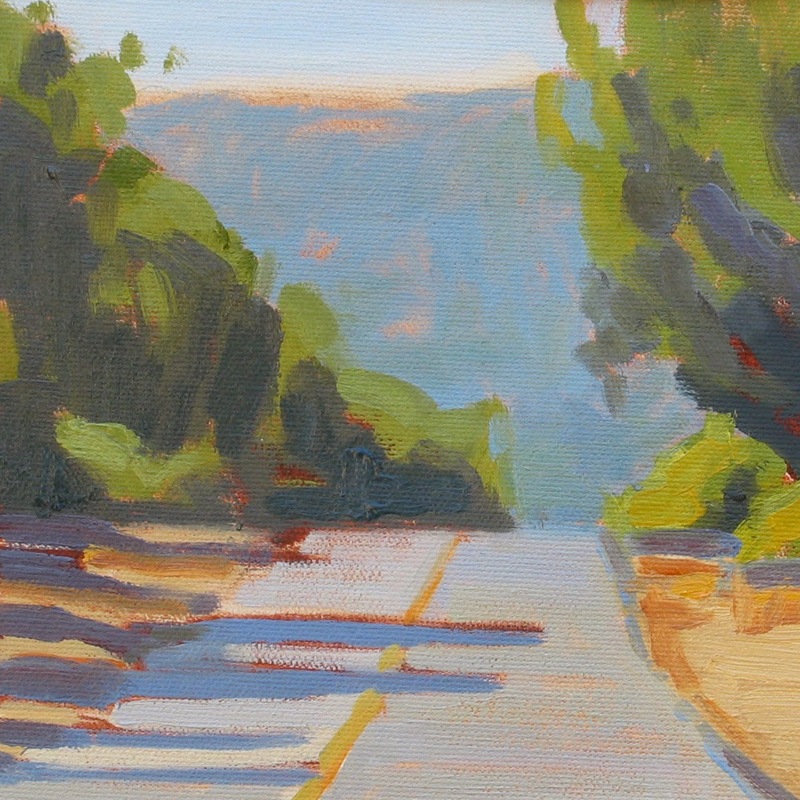 I ride my bike on Whiskey Hill Road in the mornings. 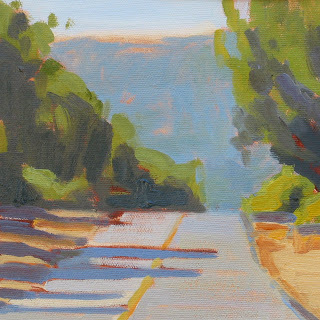 I was trying to capture the sense of distance and atmosphere in the Santa Cruz mountains with this painting. 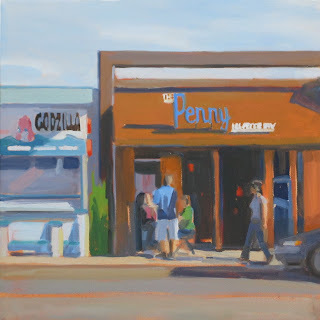 The Penny Ice Creamery on 41st Avenue in Santa Cruz, makes small batches of delicious ice cream completely from scratch. There's an open kitchen where you can watch the process of making ice cream. They use flavors that change with the seasons and feature local organic ingredients. Next door is Pink Godzilla, a sushi restaurant. I like the name and weird logo of a graphic pink godzilla on a surfboard. Together I think the buildings make an interesting painting with the warm and cool color combination. The people add life and movement to the composition.